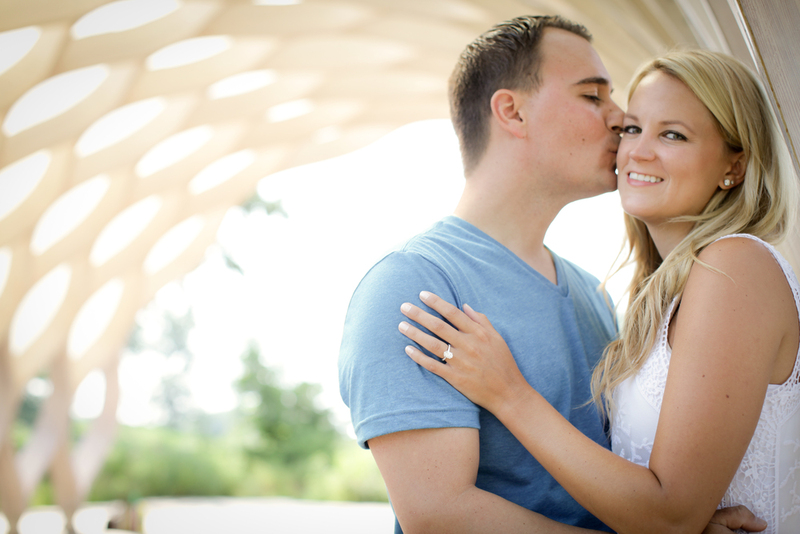 engagement love at the North Avenue Beach!! bright and early on this hot summer day, Rose Photo was on location at North Avenue Beach with cameras in hand, ready to find the good light and document big love. Julie & Will are planning a beach side wedding next year !! to create the perfect mood for their "save the dates' , we headed to our local beach front. Chicagoans love their lake shore in the summertime and this session shows it!! once perfectly soaked in the sun, we headed to the cooler shade in Lincoln Park South near my favorite patch of light at the Honeycomb. the light was soft and the love birds chirped as we rounded out our engagement session after a coffee break at nearby Hotel Lincoln. amongst the morning synergy of a busy city in the summer, this session was as sweet and relaxed as this lovely couple. to Julie & Will, it was a pleasure to document your love story. can't wait for the next chapter! !